I Want Your Suggestions for the Ultimate Star Wars Drinking Game! Having recently finished my reviews of the Star Wars prequels (here, here and here), and being halfway through my Star Wars reviews as a whole, I've come up with an idea. I'd like your suggestions for a Star Wars drinking game. I know there's a few of them out there on the internet, but considering a few of my friends are contemplating going through the series, I thought it might assist them in having a few way to make the prequels less painful, or enjoy the good ones even more. Eventually I'll collect the best suggestions together and compile a blog post on them. If you want to make suggestions for specific films in the series, that's fine - I'll do a small section on each film and a general section for stuff that happens throughout. I look forward to hearing your suggestions. 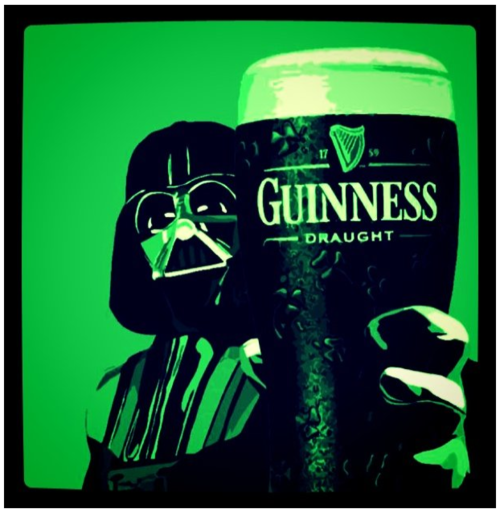 May the Force (and the booze) be with you. UPDATE 18/9/12: I've decided to set the deadline for submissions as 24 hours after my review of Return of the Jedi has been published. Since I write reviews as a relatively slow pace, I'd say that give you about a month to post your suggestions. I look forward to receiving them. All good suggestions Andrew, will take them on board.